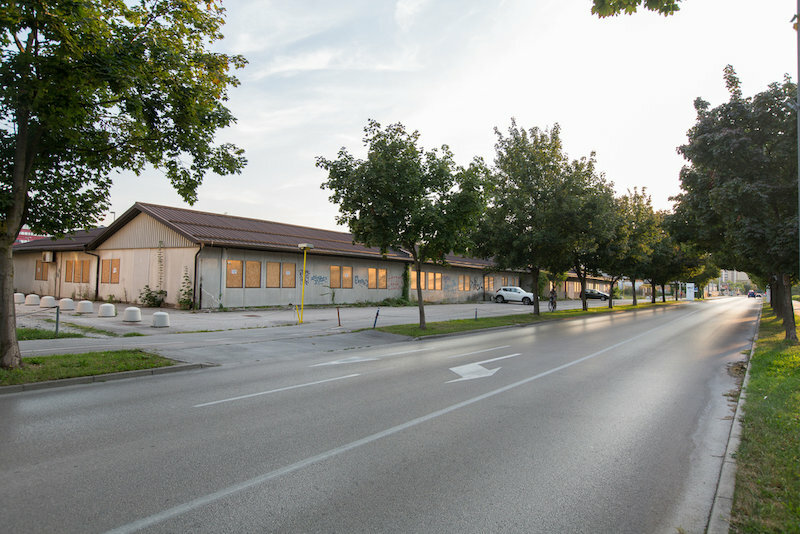 Building plot "SALES PROCEDURE IN FINAL STAGE"
property category: Building plot "SALES PROCEDURE IN FINAL STAGE"
The 10,244 m² land plot is located along Vilharjeva ulica, in an excellent central Ljubljana location. 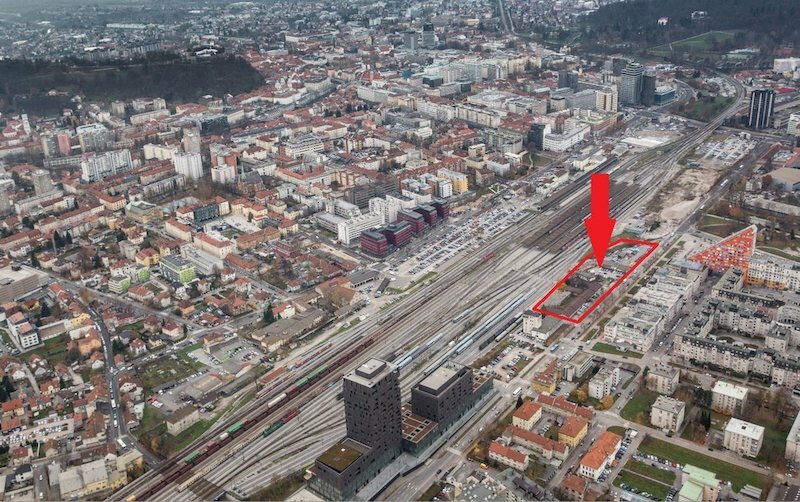 The property lies along Ljubljana’s central railway station and bus terminal, surrounded by many businesses, educational, cultural institutions and fairgrounds, as well as residential complexes. The city center is just 600 m away. All necessary public infrastructure is available in the immediate vicinity of the land plot. 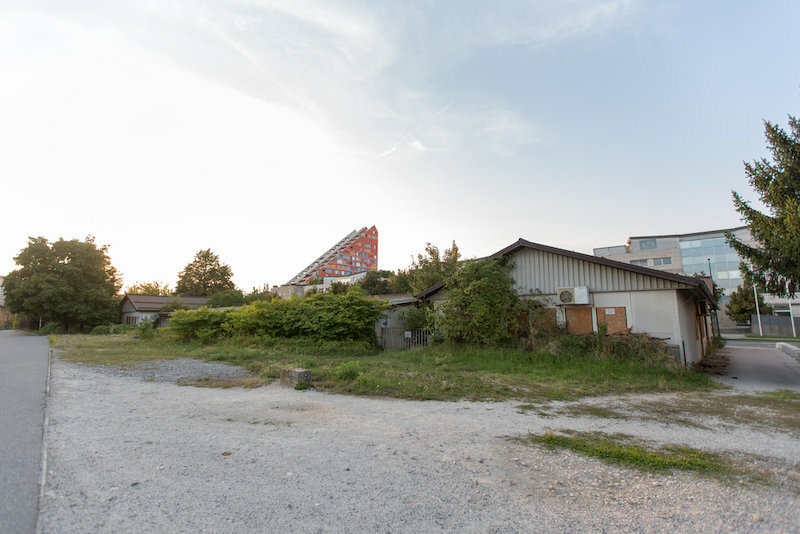 The site’s excellent location and good access to utility infrastructure give the property’s great investment value. 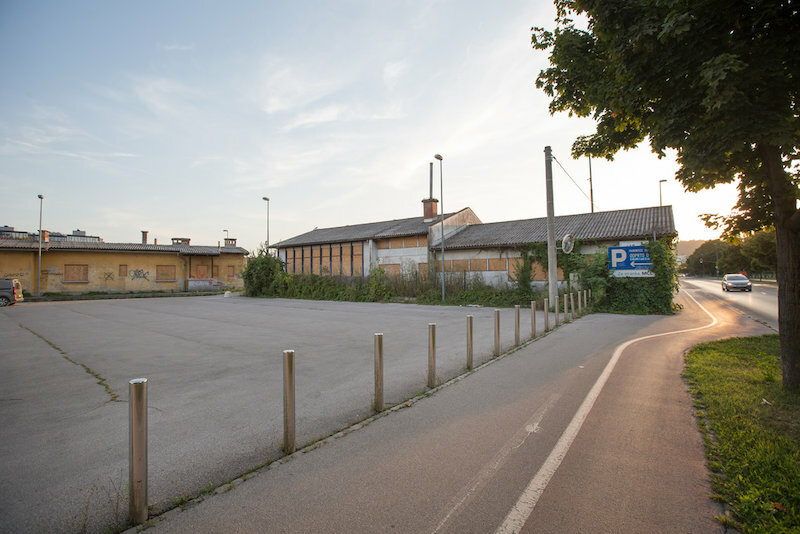 The land plot is currently leased to a parking services provider using the property as a parking lot. 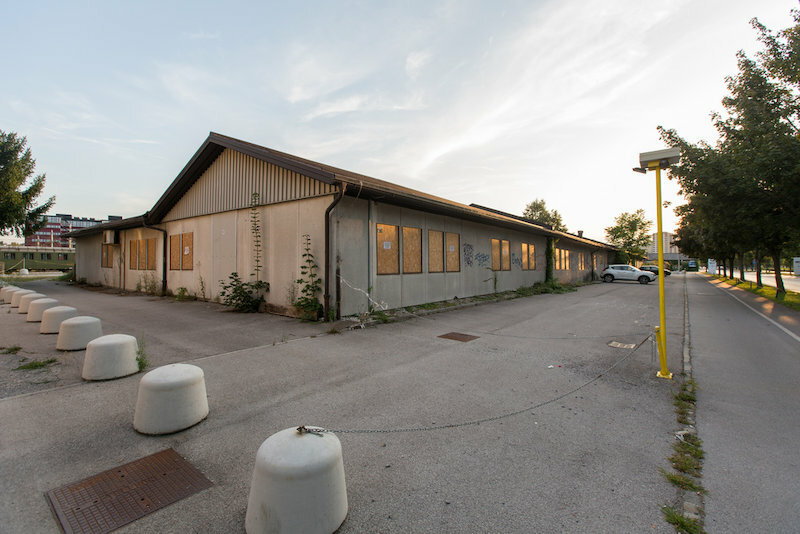 Under the existing municipal zoning act, the area is planned for construction of 43,400 m² of above-terrain gross floor area (GFA), intended and authorized for use as commercial or administrative premises, hotel and accommodation premises (up to 30% of above-terrain (GFA) and approximately 42,900 m² of underground parking garages and other business activities. The communal utility fee of approximately 1,500,000 EUR has been paid and is included in the selling price. The city hosts over 40,000 companies, which generate over 25% of Slovenia’s GDP. It also has many high-profile academic, research and cultural institutions. The employment potential, average salaries and development options are significantly higher than the Slovenian average. 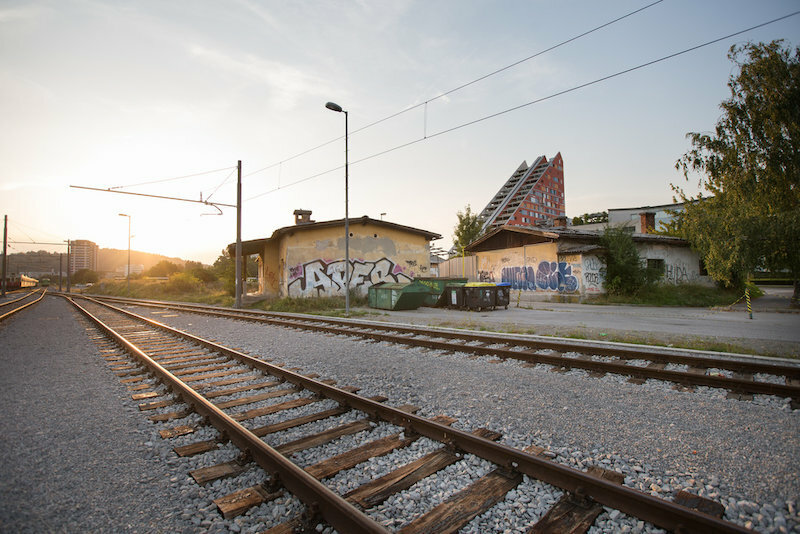 Excellent infrastructure, good transport connections to neighboring countries and great development potential of both the city and the country itself make Ljubljana an increasingly popular destination for investors. Ljubljana is at the center of Slovenia: geographically, economically, politically, scientifically and culturally speaking. Ljubljana is the capital and Slovenia’s largest city with a population of nearly 300,000. It is particularly known for its rich history, its lively city bustle, its excellent mix of urban and green zones, and a high standard of living. In recent years, Ljubljana has become a popular tourist destination, its overnight stays capacity fully booked most of the year. Would you like additonal information? We invite you to call or send an email to the real estate agent listed in the ad. We will be happy to answer additional questions.